Gungner Inc AR Style Chassis for the 10/22 is an inexpensive upgrade to your standard Ruger 10/22 Rifle. It’s called, appropriately enough, the Gungner GR-22 Chassis System for Ruger 10/22, and it essentially turns your 10/22 into a tactical .22 LR AR rifle/carbine, allowing you to attach an aftermarket telescoping/retractable AR stock (AR-15 buttstock). Easy to Install and only $49! Mil-Spec sized receiver extension allows the use of AR-15 carbine stocks. Aluminum grip block molded into the chassis gives the system a solid mounting point for AR-15 grips. Picatinny sight rail allows the mounting of scopes, red dot sights, and/or rear BUIS. 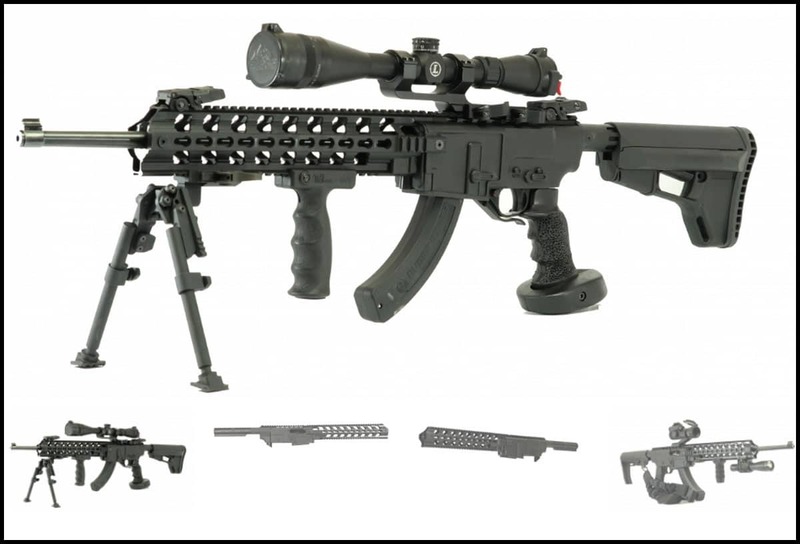 Extended forend with full-length top and bottom Picatinny rail allows the use of various accessories such as lights, laser sights, front BUIS, vertical/angled foregrips, bipods, sling mounts, etc. Domestically manufactured from a highly durable, fiberglass-reinforced nylon. For more information visit the Gungner Website. CCI Mini Mags also featured in this video.